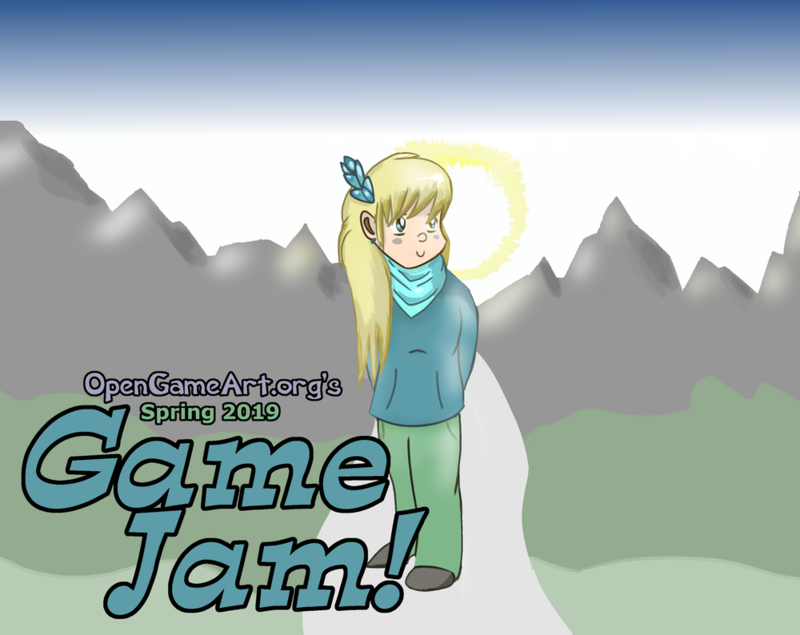 I'm very honored to get the chance to host the OGA Spring Game Jam 2019..... the last ones were a lot of fun and I hope this one will be great too! Keep in mind that this game jam is not officially associated with OpenGameArt.org. 1. Voting is open to the public. 2. The actual game must be made within the time span from the 30st of March, 2019, to the 30st of April, 2019. Any sort of planning work, including the creation of any art assets is allowed to be done beforehand. But creation of the actual game code is not. 3. Your game is only allowed to contain art assets from OpenGameArt.org, or made by yourself or your friends and/or associates. Using commercial assets that you not have the rights to use is not permitted. 4. All newly created art assets used in your game must be made available on OpenGameArt.org before or at the end of the jam, provided they fit into any of the art submission categories there. Exceptions are given for game logos, cover arts, banners and other promotional material. 5. You must credit the Author of the assets used, even if it's not required by the license. You must do this via a 'Credits' menu on your title screen where you show a list. You must include a credit even if the asset is your own creation. This is necessary to show that the work is available on OpenGameArt.org. You must also indicate if you have made modifications to the work. The following work was used in the creation of this game. Modifications were made. If you have an account with OGA, OGA's 'Collections' feature can be used to create a 'Credits File' that includes this information for you. If you distribute the game as a downloadable file collection (Zip archive or Installer EXE, etc. ), please include a README or CREDITS text file that also includes a list of the assets used with the above information. When modifying existing art, please be sure to share your derivatives back on OpenGameArt.org and provide a complete credit (name, title, URL, etc) for both the original work and your derivative work. Trivial derivatives (scaling, re-coloring, outlining) do not need to be shared back to OpenGameArt.org. 6. Logos, title screens and title music or sound effects related to a logo or game title are exempted from Rule #4 and Rule #5. 7. Game must not promote any sort of discrimination (such as racism, sexism etc) or political agendas. (this rule is copied from the fall game jam) - however I reckognize that the (not) promote is not the same as (not) contain. 8. Your game must be playable on a Windows 10 PC. Other builds are welcome and encouraged, however. Feel free to ask me for details, if you have any questions, or anything seems unclear in some sort of way! If you have questions about licensing or using works hosted on OpenGameArt.org please consult the OpenGameArt.org FAQ (https://opengameart.org/content/faq ). And if you still have questions or concerns, don't by shy about asking for help on the OpenGameArt.org forums ( https://opengameart.org/forums/art-discussion ).